CINCINNATI—New Bengals wide receiver Mohamed Sanu told reporters last week he had been "desperately relieved" to find out a phone call notifying him that Cincinnati had drafted him was a prank, but was later dejected when actual team representatives called to use a pick on him. "I have to admit, it was pretty funny when that kid told me the Bengals were drafting me in the first round, especially when I realized it was a joke," said Sanu, confirming the prankster "really had me going." "But the Bengals calling to say their disaster of a team actually was drafting me, just for a lot less money? What kind of sick human being does that?" 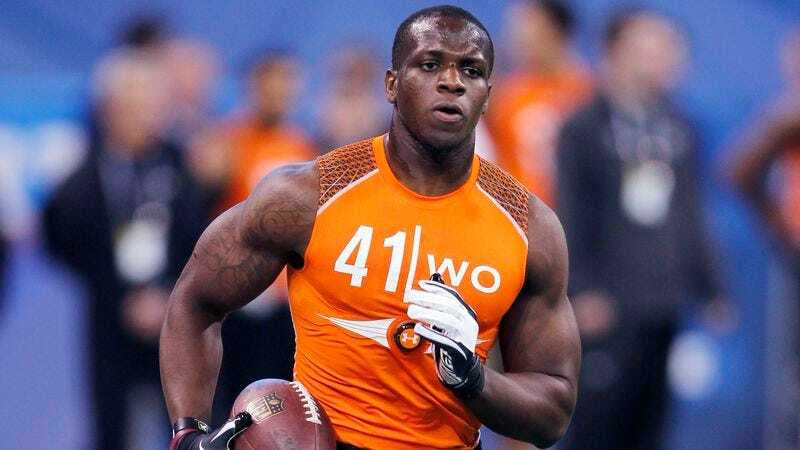 Though acknowledging he cried when he first put on his Cincinnati jersey and realized he would be wasting away his youth playing for the Bengals, Sanu took solace in the fact that NFL careers are generally short and his dream of playing pro football would be over soon enough.